Computer Gaming World Comments and Highlights: Another December, another Christmas buying guide. That, and reviews of Sid Meier�s Civilization, F-117A, and Pools of Darkness, the latest AD&D gold box game. 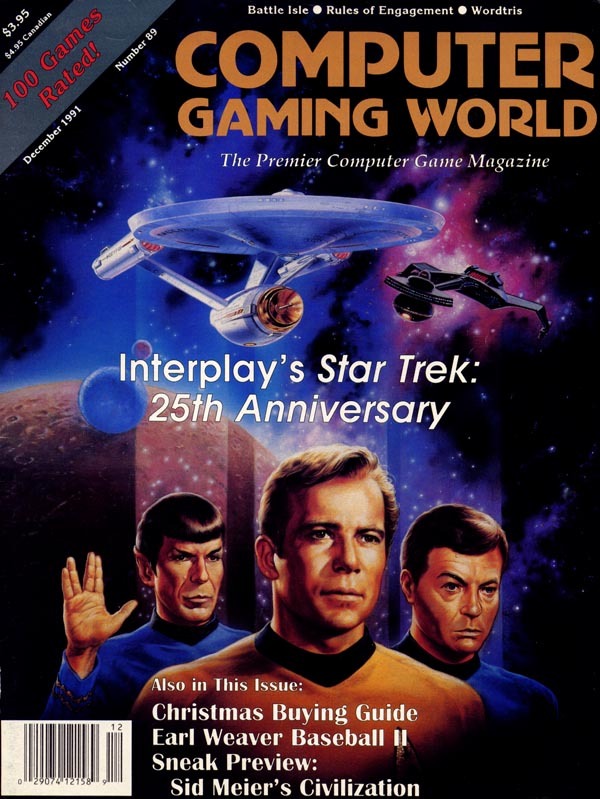 Other articles of note included a software industry update, a computer wargame survey, and a sneak preview of Interplay�s Star Trek: 25th Annivesary game.